I'll use this page to keep track of progress in rewriting the web site. At the time of writing (April 2016), I am just about to finish bringing the Newsletter Index up-to-date and so will aim to include landmarks after that. The Newsletter reference standard is v8n3p17 = volume 8 number 3 page 17. Events prior to April 2016, will be noted retrospectively. I never know whether to build blogs with the latest entry at the top (so you can see what has happened recently) or at the bottom (so that you can experience the "narrative arc"). This one is the latter and when I archive it and start another page, I'll do it the other way. † Peru locals to be done, Argentina provinces, Colombian states. § Egyptian Offices, see Gibbons. 26th Feb 2016 While rewriting the web site I asked for permission to show an image of Luxembourg's first stamp booklet from another site and the owner (Paul Ramsay) turned out to be the editor of the GBPS newsletter who asked for an article on first issues. I pinched most of the piece (and all the images) from the 2006 exhibition, in an effort to keep to FICC orthodoxy. 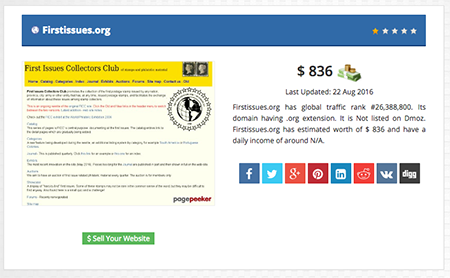 Complete the detail pages (currently 120, 779 needed, some of which may be multiple entries). Cross-reference the entries by category (South America, French Colony etc.) and allow navigation by category. At that time the detail pages had been completed for the first page of the catalogue. Mar 2016 Towards the end of March the detail pages for page 2 of the catalogue were completed. Rather than continue working on the additions chronologically, it is now intended to progress by category, starting with Europe. 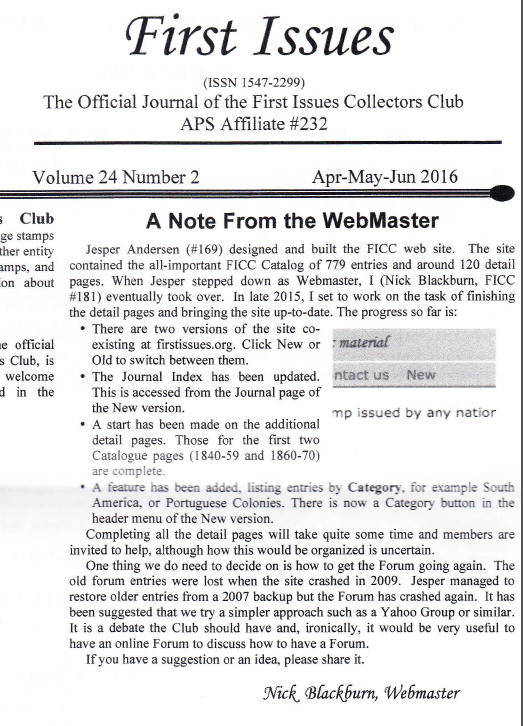 6th April 2016 The index is now up to date with Newsletter v24n1, the first of 2016. 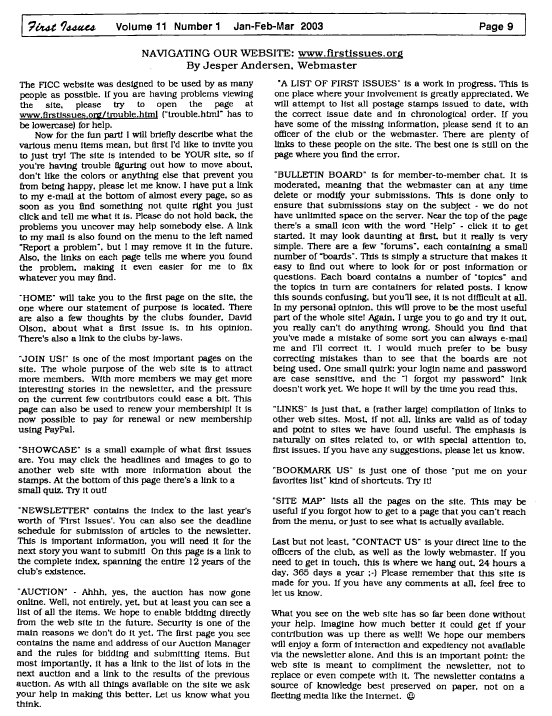 This will allow me to use past Newsletter articles when writing the detail pages. 11th Apr 2016 The Newsletter CD Archive comes as a single file containing the first 12 volumes (1990-2004), followed by some single whole year volumes and the most recent as single issues. I have created a second volume covering 2005 onwards that makes searches much easier. 26th Apr 2016 An update from Dead Stamps introduced me to Stamp World History, an informative and attractive site which in turn has suggested some useful resources, notably the Statesman’s Year-Book Historical Companion, now on order. I have also looked at WayBackMachine and found backups of the site to 2002. 17th May 16 Little progress on the Europe detail pages recently as I have been working on the plans for dealing with Journal Overflow onto the web, of which more later when the Committee has come to a decision. [18th May] All in favour, so the exhibits option is enabled on the header menu. 20th May 16 I have sent off my quarterly progress report to Tim for the next Journal. For my next report, I am thinking of leading with the WayBackMachine especially as I have learned that you can access some of the old Bulletin Board posts through it. I have also nominated the FICC site for the British Library's archive and it is now awaiting upload. Having taken a break for the exhibits section, I am now wading through 1920s Europe again, currently TFR. I might move this blog to (or mirror it on) blogspot where, I now notice, I already have a blog called First Issues, untouched since Feb 2014. 5th June 16 With Europe nearing completion, it is time for a checklist of category tasks. †There are at least two ←→ link pairs on each page, the category and the catalogue. The category links are enabled when completing entries by category, the current policy: the catalogue links are possible for the first two pages of catalogue as these are complete but cannot currently be done consistently. 26Jun16 That's Europe about done except for new catalogue additions and changes to Georgia. Now on to the easy wins on country categories and then Africa. How useful the CD version of the journal is. Progress on the catalogue entries. A web page containing my submissions to the journal to make the links easier to follow. Also include any links mentioned in other parts of the Journal. A short URL in the article leading to the page. 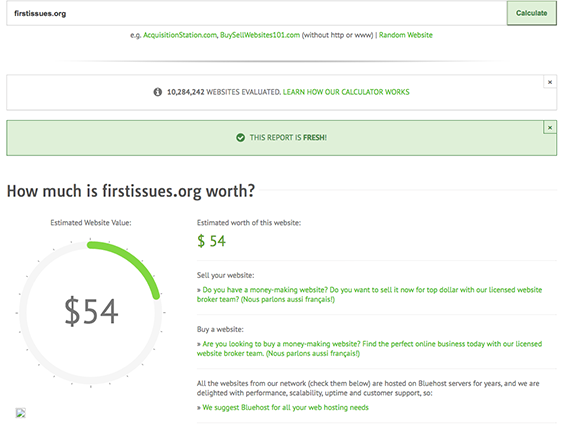 are we collecting data on web site visitors, if not why not? Item 5 - it's here. 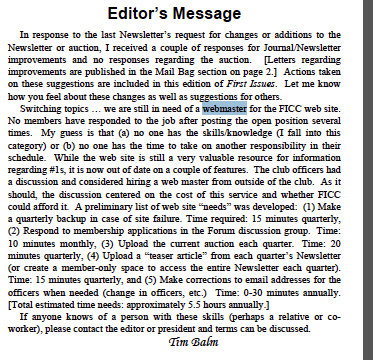 10th June 2016 Having found the WayBackMachine backups and that they contain some of the Forum entries, here's one of the most useful, Tim Balm's September 2003 update on (then) recent first issues. I have asked Tim whether he can update it to the current day. 4Feb1992 - Kyrgyzstan Sc#1, perf = 12, wmk = ?? , desc = 15 kopeck denomination. 8Feb1992 - Moldova Sc#25, perf = 12, wmk = ?? , desc = 25 kopeck denomination. 1Mar1992 - Ukraine, set range = Sc#100-101 (Mi#71-72), perf = 12, wmk = ?? , desc = 15 kopeck denomination on each. 17Mar1992 - Kazakhstan Sc#1, perf = 12x12.5, wmk = unwmk, desc = 50 kopeck denomination. 20Mar1992 - Belarus Sc#1, perf = 12x12.5, wmk = ? ?, desc = 1 ruble denomination. 26Apr1992 - Turkmenistan Sc#2-9 (set range is 1-9 with #1 being issued on 8Dec1992), perf = 12x12.5 (#9 is imperf), wmk = ?? , desc = ??. 7May1992 - Uzbekistan Sc#1, perf = 11.5x12, wmk = ? ?, desc = 20 kopeck denomination. 20May1992 - Tadjikistan Sc#1, perf = 12x12.5, wmk = ? ?, desc = 50 kopeck denomination. 28May1992 - Armenia Sc#430, set range = 430a-c and 431, perf = 14, wmk = ? ?, desc = 20 kopecks, 2r, 5r and 7ruble denominations. 8Sep1992 - Macedonia Sc#1, perf = 13.5x13, wmk = ? ?, desc = 30 denar denomination. 26Oct1992 - Bosnian Serb Admin in Banja Luca, set range = Sc#1-11, perf = 12.5, wmk = ? ?, desc = surcharged overprints on Yugoslav stamps. 20Jan1993 - Czech Republic Sc#2877, perf = 11, wmk = ? ?, desc = 3 koruna denomination. 12May1993 - Bosnian Croat Admin in Mostar Sc#1, perf = 14, wmk = ? ?, desc = 2000 dinar denomination. 31July1993 - Georgia, set range = 73-75a, perf = 13, wmk = ? ?, desc = 25, 50, 100 ruble denominations + s/s of the 3. 27Oct1993 - Bosnian Muslim Gov't in Sarejevo, set range = Sc#200-206, perf = imperf, wmk = ? ?, desc = 100, 500, 1000, 5000, 10,000, 20,000 and 50,000 dinar denominations. 3Apr2003 - Serbia and Montenegro, set range = ??1-2? ?, perf = 13.5x14, wmk = ? ?, desc = 16, 28.7 dinar denominations. 23Apr2001 - England Regional (listed under Gr Brit in Scott, just before Northern Ireland regionals) set range = Sc#1-5, perf = 15x14, wmk = ? ?, desc = 2nd, 1st, E, 65p 68p denominations. As for your notes 66.1 (Aruba) and 66.2 (Macedonia), The Aruba set you describe is Sc#18-21 issued 01Jan86. The first set for Scott goes from 1-17 and was released over 4 issue dates from 01Jan86 to 17July87. As for Macedonia, Scott lists #RA1 issued on 30Dec91, RA2-RA9 issued on 01Mar92, RA10-RA13 issued on 08May92, and RA14-17 issued on 01June92 -- all preceding the Sc#1 stamp issued on 08Sep92. Hope this helps on your web site. Don't hesitate to ask me questions of this nature that I might be able to help with. Sometimes knowing the answers feels good. West Irian #20 (on 5/1/1963) needs to have a notation under description that "now listed in Scott behind the Indonesia listings" Evidently Scott no longer wanted to list these under the W's. 1871 Afghanistan -- now has a #1 and the range goes from 1-4A (7 stamps). Under description, we should note :#1 is 30 mm in diameter; others are 26-27 mm. The Georgia listing should change to indicate the range is 1-12 with 1-6 being perf 11.5 and 7-12 being imperf. [The latter info might go under Description - your call. 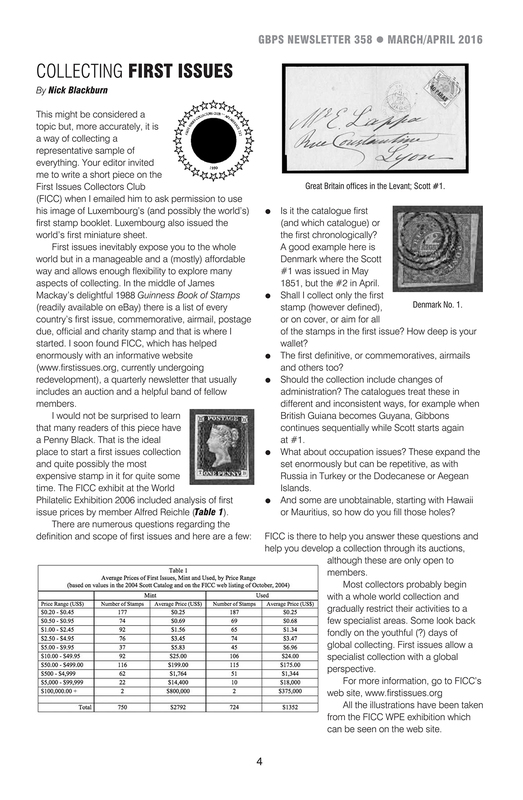 Biafra #1-3 is now listed in Scott (FICC catalogue states SG#1-3. These stamps are lith, perf 12.5 and unwatermarked. South Sudan (new entry). Issued July 9, 2011 range of Sc#1-2. Lith. Perf 12. We should note in the description a 3rd stamp in the set was printed but only noted in Scott (not given with a number). Kyrgyzstan Express Post (new entry). Issued Nov 18, 2014, range of Sc#1-3. Lith. Perf 14x14.5. Description should state Sc#1 is a 500s jet. Also, stamps are listed following the Kyrgyzstan listings. 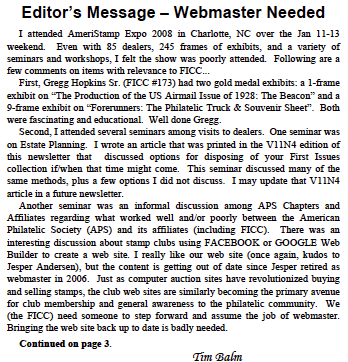 Hopefully this will bring the FICC catalogue up to date. Let me know if you need any additional "technical" info on these. ... Also, let me know if/when you need scans of stamps. I know you've been obtaining many scans from David. If you want scans of full sets or of #1s he doesn't have for sale, let me know. Scans are easy to make and send. They also provide quick "check marks" on my to-do list. Sometimes that gives me a sense of accomplishment - sometimes not. I have no catalogues covering Kosovo and UN Kosovo and so that page will have to wait. For GB colonies, French Offices and so on, perhaps two lower case letters for the country and one capital letter for the type, so gbC and frO. That will probably cover most requirements. I wish I had added last updated to the page templates. Jesper has it automatically on the old pages and I tinkered with that but did not reach an elegant solution. If I add it retrospectively and going forward, it will have to be manual.I have taken a snapshot of all the dates for the country pages and will make a start. to Argentina 21Jun16; to Bahamas 22Jun; Belize 25Jun; Bremen 1Jul; Canton Zurich 12Jul; Gambia 13Jul; Hungary 14Jul; Ireland 24Jul; Luxembourg 25Jul; Naples 5Aug; New Republic 6Aug; Philippines 7Aug; St. Helena 9Aug; Scinde 11Aug; South Africa 12Aug; Taiwan 15 Aug; Turks Is 17 Aug;Turkmenistan 20Aug; completed 21Aug. 21 Jun 2016 I had a good idea today. When writing the Africa (since Independence) pages, add a column to the table to show Previously. This will ensure that there is backward continuity and that the necessary previous pages are built as part of the process. 27 Jun 2016 Consider splitting p.8 of the catalogue at 1990 or 2000. Done 27Jun. 27 Jul 2016 Asia has taken longer than expected and that does not bode well for Africa after Independence. No matter, still the Asia polishing to do and then the Middle East. The dates are: circa 15th Feb, 15th May, 15th Aug and 15th Nov).